So this is odd. I was looking to see if there had been anything at all about this as I was guessing it was dead and this week there is some news outlet stating that it's now going to be a LEGOLAND. I think this is false but does anyone know the area and perhaps know what's going on with the redevelopment? The 10-billion-yuan ($1.45 billion) renovation will bring the world's third-largest theme park chain after Disneyland and Universal Studios to Tangjiawan, according to an official announcement from ZIC. What happened to the Universal Zhuhai/Macau proposal? Is it still alive? Probably postponed until after Universal Beijing opens...? No Universal Studios Zhuhai news, but now it's official: the first Chinese Universal Studios resort will open in Beijing in 2019! The long-rumored park will be among the company’s largest and include the same kind of movie-themed attractions featured at Universal parks in Los Angeles, Orlando, Japan and Singapore. It will include attractions specifically created for China and plans also call for a Universal CityWalk retail-dining-and-entertainment complex as well as a “first-ever” Universal-themed resort hotel. The park is to be located in an eastern suburb called Tongzhou. Additional phases could see the complex expand to 1,000 acres. The park’s Chinese partner, Beijing Shouhuan Cultural Tourism Investment Co. Ltd., which was formed in 2013, completed a $300 million deal for the land in March, Chinese media reported. The park will be jointly owned by Beijing Shouhuan, which is a consortium of four Chinese state-owned companies, and Universal Parks & Resorts. Universal Parks & Resorts, a division of NBC Universal, signed an agreement to develop the Beijing park in December of last year, the state-run Beijing News said, and the National Development and Reform Commission, which approves such projects, signed off on the plans last month. Tom Williams, chairman and chief executive of Universal Parks & Resorts, said the Beijing park would showcase some of the best themed attractions to be found anywhere. “We will work together [with Shouhuan] to create experiences based on China’s best-loved stories and centuries-long rich cultural heritage,” he added. Asked specifically what "Chinese elements" the park would include, Williams refused to offer specifics but said the company had already conducted "extensive research" on this matter and said the park would "pay proper respect and homage to Beijing" and Chinese culture overall. Williams would not detail what marquee attractions the Beijing park would include either, but rides based on the "Transformers" franchise and the "Despicable Me" series as well as "Harry Potter" seem likely candidates based on those films' popularity in China. The fourth installment in the Transformers series, "Transformers: Age of Extinction," became the top grossing film ever in China this year. “China remains a vital part of our company’s film business,” added Williams, noting that Universal Pictures is also about to open a film office in Beijing that would focus on movies, including more co-productions with Chinese partners. Beijing will be the northernmost Universal theme park and the city has a number of climate and other challenges, including snow and severe air pollution. Williams said the company would focus on building attractions conducive to wintertime visitations. Sidestepping a question about air pollution, Williams said he grew up in Southern California when there were some days that people were advised not to go outside because of smog. Now that's been cleaned up he said, and he expressed confidence that Beijing too would solve its smog problems. "There's already been dramatic improvement" since his first visit to Beijing, Williams said, not mentioning that the city just suffered through a three-day stretch of abysmal smog that sent the Air Quality Index off the charts. In a videotaped greeting played at the press conference, Steven Spielberg, a creative consultant for Universal, said the "Chinese people deserve the very best our creative teams are capable of creating." Universal does not currently have direct investments in the Universal-branded parks in Japan and Singapore. But it will invest in two joint ventures being established to build and operate the Beijing park. Universal will have a 30% stake in the construction and ownership joint venture; Shouhuan will hold 70% of that. Universal will own 70% of the management and operations joint venture with Shouhuan having a 30% stake. China is expected to build 59 theme parks by 2020, according to a recent report by industry analyst AECOM. The $4.4-billion Shanghai Disney is slated to open in late 2015 with a Magic Kingdom-style theme park, several hotels and a Downtown Disney-style shopping center. DreamWorks Animation, through its China-based Oriental DreamWorks, is currently building an entertainment complex in Shanghai. Six Flags recently announced plans to build and operate several parks in China over the next decade, with one in Tianjin — an hour train ride from Beijing — expected in 2018. In 2012 and 2013, 12 new theme parks and one water park opened in China, with capacity to receive 27.8 million visitors a year. By 2020, AECOM predicts China will receive as many theme park visitors as the U.S. does currently. In 2013, China’s central government lifted a moratorium on new theme park development approvals. Except for very large parks with capital investment greater than about $800 billion, approvals can now be obtained at the provincial level, allowing many new projects to move forward. Universal Studios has reportedly signed a deal with the Zhuhai government to invest 150 billion yuan (US$24.29 billion) in a theme park in the city. The park, to be located in Doumen district, will cover 10 square kilometers, Chinese property news portal Guandian.cn reported Friday. Universal Studios planned to open a theme park in Beijing in 2018, with an investment of about US$2 billion. The terminal station of a metro line (East Four) that would connect to the site was even named “Universal Studios station”. 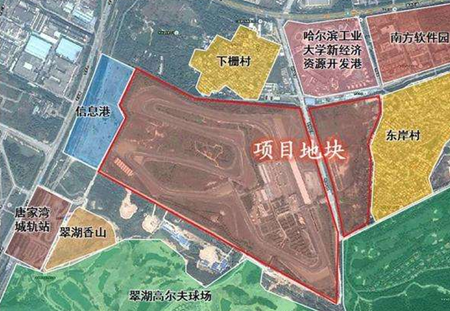 The Guandian.cn report didn’t mention whether the project planned for Zhuhai will be the Universal Studios’ second after the Beijing theme park.